Cork flooring is a layer of natural cork laminated onto a composite core. The composite core is made from High Density Fiber Board (HDF). Cork has a distinct look and feels softer and warmer to the step than many other flooring options. Cork is becoming increasingly popular as an affordable flooring option. Cork flooring comes in a variety of beautiful colors and shades. 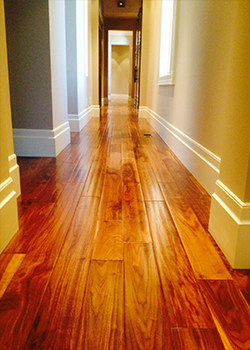 Solid Pre-Finished Hardwood Floors are milled, stained and coated in the factory. The flooring comes ready to install and ready to use. Solid hardwood boards are nailed down to a wood subfloor. 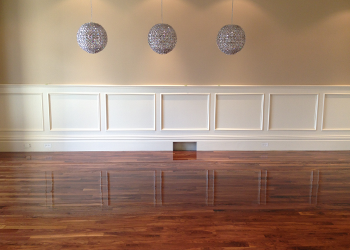 Solid hardwood floors can be resanded several times and last decades. Engineered flooring is a layer of real hardwood laminated atop a stable plywood base. Engineered flooring can be installed as a floating floor or fixed to the subfloor with nailing or glueing down. 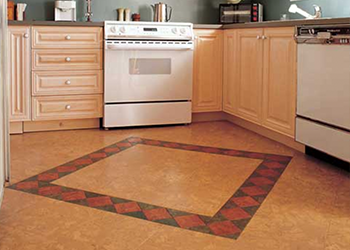 It is well suited for over concrete sub-floors, below-grade rooms or overtop of existing linoleum/tile. It has the look of solid hardwood floor, but the engineering may resist gapping that real wood can be vulnerable to. Engineered flooring is known for its strength and durability. In our dry climate, wider plank natural hardwood is more susceptible to gapping over time. Engineered flooring is a popular choice to achieve this on-trend look and mitigate potential gapping. Luxury vinyl plank (LVP) and tile (LVT) flooring is the newest trend in flooring - a must-have for design savvy homeowners. ​As the name suggests, LVT floors look like elegant ceramic floor, but have many more benefits. At a fraction of the price of real tile, this modern and durable floor covering is so realistic that even the biggest critics can't tell the difference between LVT and real tile and stone. ​Warmer and softer than its stony counterpart, LVT tiles are ideal for rooms where you spend a lot of time on your feet. Luxury vinyl planks are waterproof, making them an excellent option for areas like kitchens, bathrooms, and mudrooms. 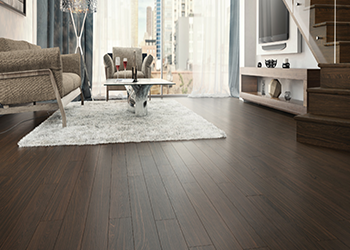 By far, luxury planks are one of the quietest flooring options to choose from. Textures can be mixed and matched to create a truly unique look. ​The design combinations are endless, and the best part is your floor will look like real hardwood, ceramic and stone.